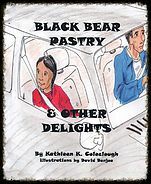 This is a children’s story, yes, with age-appropriate language and credible characters – it was realistic and delightful how often friends and extended family were visiting the grandparents to work together on a mossbag, for example, or help fix an old truck — but it also deals with the “grown-up” issue of traditional vs. contemporary life. 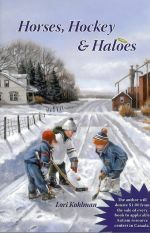 The novel “Horses, Hockey and Haloes” takes the reader on a journey of discovery. Author Lori Kohlman approaches the subject of autism with sensitivity and respect. 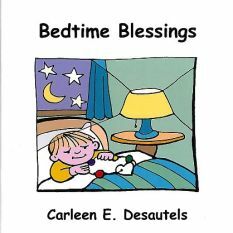 Her purpose in writing this book is to give the reader an opportunity to learn and understand more about Autism. It is obvious that she has done a great deal of research about this disorder as she tackles the subject in a knowledgeable and informed way. Autism is a neurological condition that causes developmental disabilities. It results in delayed and underdeveloped communication skills and social interactions. Autism is more common in boys and usually becomes apparent before the child is three years old. 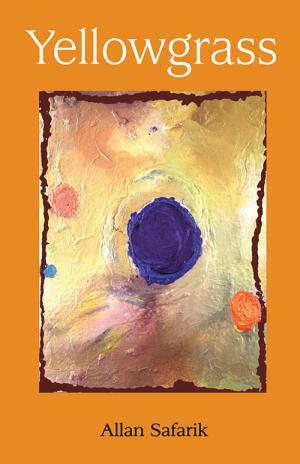 The book encourages adult-child discussion by including a number of questions, such as: “Tell me about a time today when you felt your heart growing because somebody loved you.” “Who did you play with, talk with, take turns or share with today?” and “Tell me about a time today when you used your words or your hands to be kind to someone.” These questions follow four rhymed (and generically associated) lines .